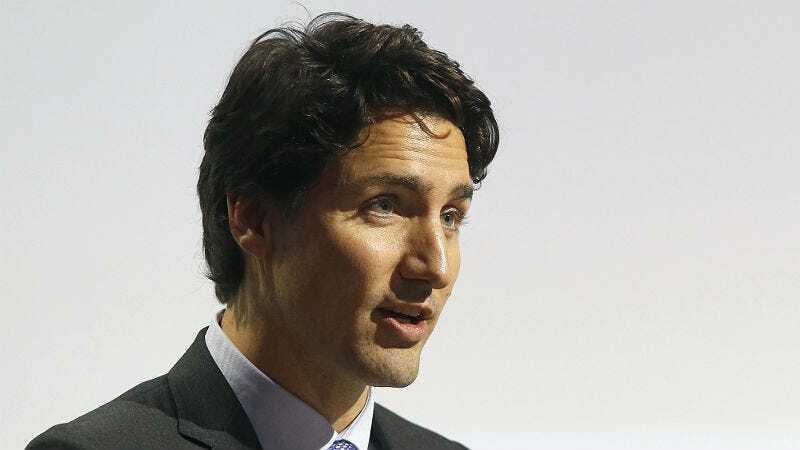 Justin Trudeau, Canada’s new handsome Prime Minister, should thank his taxpayers for footing the bill for his nannies—particularly after he went on the record during his campaign to say that wealthy families like his didn’t need extra government subsidies for childcare. Now, Trudeau’s administration has hired two immigrant Filipino women, who are Canadian citizens, as “special assistants at the prime minister’s residence,” which is just fancy talk for round-the-clock nannies. They are paid $15-20 an hour during the day and $11-13 an hour at night, which is above Canada’s minimum wage of $10.86 but is still not a bountiful salary. The women may also be veterans of a frustrating loop called the Live-in Caregivers Program, where two years of work as a caregiver promises a Filipino family a chance at permanent residency, per Toronto Life. In Toronto, I found work with a family with three kids. On my third day, they were running around the house with knives in their hands, and I couldn’t control them, so I just sat down and cried. They fired me the next day. For three years after that, I worked on a farm, cleaning the house, cooking and doing laundry while the kids were at school. I made only $1,000 a month, though I put up with it because I was grateful for the opportunity. Calica has been waiting for 45 months for her permanent residency appointment and still hasn’t heard a response. She applied in 2011. In August, Filipino immigrants pushed to collectively pressure the government to address the hefty list of people awaiting their chance at citizenship while working for minor pay, according to The Star. They said the government’s changes to the Live-in Caregivers Program have made things worse, not better, and left them more vulnerable to mistreatment by employers. Instead of a two-year work-for-residency trade, the workers want permanent residency upon entry. He also promised that the spouses of recent immigrants would receive permanent resident status immediately upon arriving in Canada, bypassing the two-year wait period currently in place. A Liberal government would also restore the maximum age for dependents from 19 to 22, making it easier for immigrants to bring their older children to Canada. Trudeau seems interested in the ethics surrounding childcare. He has made a show of saying he’ll donate his Universal Childcare Benefit credit of $3,400 to charity. But he hired his nannies under the Official Residence Act—which says the “cabinet may appoint ‘a steward or housekeeper and such other employees’ deemed necessary for the management of the prime minister’s residence.” And the implication is obvious: if even Trudeau needs maximum taxpayer assistance for childcare, doesn’t everyone else? Last month, I wrote about the fact that childcare is just too expensive for everyone involved, from the parents to the childcare workers. As reported in The Atlantic, childcare in America can amount to 15 percent of a married couple’s income and 40 percent for a single parent; the workers themselves can rarely afford care for their own kids. North America is at an impasse: childcare is crazy pricey, and caregivers need to make a living wage. It seems like the enhanced tax credits Trudeau opposed are necessary—even for him.